Where has this past week gone? Nevertheless, this Friday is our April Friday Night Sew In.......YES already! Hard to believe it's rocked around again isn't it....but it has and I can't wait! Subtle as a sledgehammer, I am?! 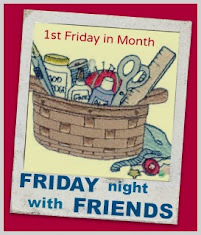 FRIDAY NIGHT IS FNSI NIGHT!!!!!!!!! ....and you definitely don't want to miss out! I'll be releasing the next block in our 'Friends' BOF on Friday too, so maybe that is something you want to have ready for Friday night? Sign ups are open......let's get ready to part-ay! Ist es schon wieder so weit am Freitag ? Die Zeit geht immer so schnell dahin.Ich werde mir eine neue Bügelmatte für mein Bügeleisen für mein Nähzimmer nähen. 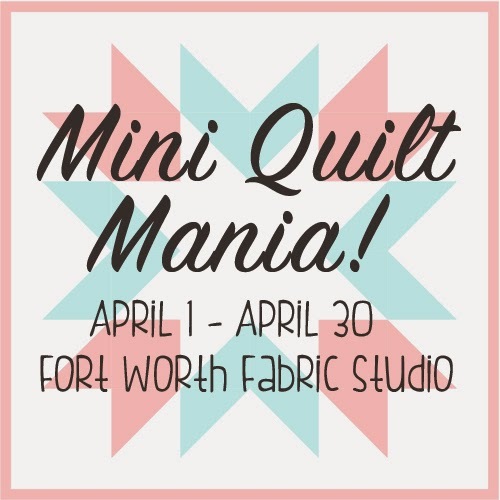 I haven't done any quilting in what seems like decades ("only" a year), but Friday's the day! Looking forward to joining you all in quiltingland! I would like to join in but I can not get it to accept my URL link. All ready and rearing to go. I have been running an idea through my mind for sometime and anxious to try it out on Friday night. See you all then. I have a bunch of minis and swaps to finish, so this will help me out. See you all Friday night! I have not sewn in over a week--this is just the motivation I need. Thanks! Well this is a first for me, but I'm joining in - I can't wait to join the fun!!! Look forward to stitching along with my DD and my online friends. Hi Wendy, I think I´ll sew some blocks for my modern-grandma-quilt. Hi Wendy and all participants. I'll decide spontaneous and post about what I did sew later. Can't wait to join all of you gals, tonight! Just organising myself for a lovely night of stitching with friends. First Friday night sew in for me - I'll be working on a BOM block tonight! working on a Lozenges by Bonnie. I had a Friday afternoon stitching with friends..a wonderful way to spend my afternoon..
FNSI deliciousness and some reminders….